It’s been quite the week in terms of news and nighttime entertainment for Walt Disney World, huh? Pandora is opening for Memorial Day Weekend, we’re probably a bit over two years away from Star Wars Land opening, Rivers of Light will officially debut next weekend, DisneyQuest is preparing for its end of the line, and Wishes is going out with a bang to make way for Happily Ever After. There’s excitement throughout the community, some sadness, and I’ve even heard the comment that it’s too much happening all at once. The first time I saw that thought I brushed it off, but then I saw it again and again and began to put some stock and serious thought into the idea. It occurred to me that, as Walt Disney World enthusiasts, we’re used to changes big and small happening at one time. However, we also are used to these changes happening one at a time. The opening of a new land has always been filled with much pomp and fanfare. It was built up, and built up, and discussed, and dreamed about until the day finally came that it opened and we got to finally experience. We would then dedicate weeks and months to pouring over every corner of the land until we felt we had fully immersed ourselves in every story we could and it had become as much of our Walt Disney World consciousness as any other land. With some minor tweaks this could be the same pattern for a new attraction, show, parade, resort, or any other venture from Walt Disney World. The point being, that for a time it is the new and shiny experience and there isn’t anything playing tug-of-war for our attention. Has 2107 just become the apex of change in Walt Disney World by pure happenstance? After all, Star Wars Land, while a tentative opening date has been announced for 2019, but that doesn’t have any true standing for this year, just this news cycle. Rivers of Light was scheduled to open last April with other nighttime activities at Disney’s Animal Kingdom. Since Disney Springs was announced and began opening in sections, it was only a matter of time before DisneyQuest was replaced. Surprisingly, new fireworks shows don’t come along too often for the Magic Kingdom, but with all of the projection technology being utilized in every park, including the Magic Kingdom, can anyone really be surprised that the marquee fireworks display really wanted to get in on the game? So, yes, there’s a lot happening right now, but how much of it is just happy circumstance? 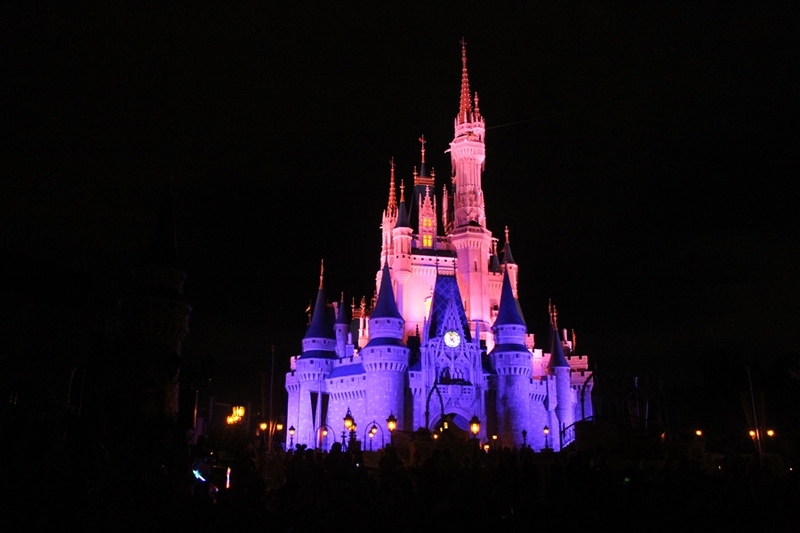 Enthusiasts of Walt Disney World are more accustomed to bemoaning our plight as being overlooked and only getting hand-me-downs from Disneyland or a sparse smattering of novel attractions. On some level, we should be thanking Universal Studios for their aggressive expansion over the past several years as bringing the battle for Orlando back to the forefront and giving the parks and resorts the love and attention we all know that they deserve. Once Pandora is open, the Magic Kingdom and Disney’s Animal Kingdom are going to be in relatively great positions as marquee theme parks. Although don’t get me started on the needs of Tomorrowland. Disney’s Hollywood Studios is in the midst of a major transition, but its stock will rise exponentially once we can visit a new world in the Star Wars universe and Andy’s backyard. Epcot and its assorted festivals still continue to wow guests year after year, but I wouldn’t be surprised if we heard of major overhauls coming to Future World, World Showcase, and the park’s nighttime spectacular by the end of the year. Are there a lot of changes coming to Walt Disney World in a comparatively short period of time this year? Yes, there are. This is considering that the changes we’ve already heard about still don’t consider a nighttime parade at the Magic Kingdom, which we all know is a staple of the Magic Kingdom experience and can’t be absent for much longer before the natives get very, very restless. Is this the new status quo? I don’t think so, but it is the standard for the next several years. We should all be grateful that our beloved Vacation Kingdom is receiving the love it so deserves and set ourselves up to rejoice the new attractions, lands, and resorts, and know that there will be times that we’ll have to pay our respects to beloved experience before they are transformed into something new. It’s the circle of life, and with a resort that will never be completed, we should be thankful that we are being given new worlds to explore and build into our consciousness of what makes Walt Disney World wonderful.